Museums and music don’t immediately seem like a natural pairing—the odd monthly bash aside. While museums are hosting more concerts and other experiential events, it can nonetheless feel bizarre to admire an instrument encased in a glass box when you know full well it was built for someone to play—loudly. But here we are! 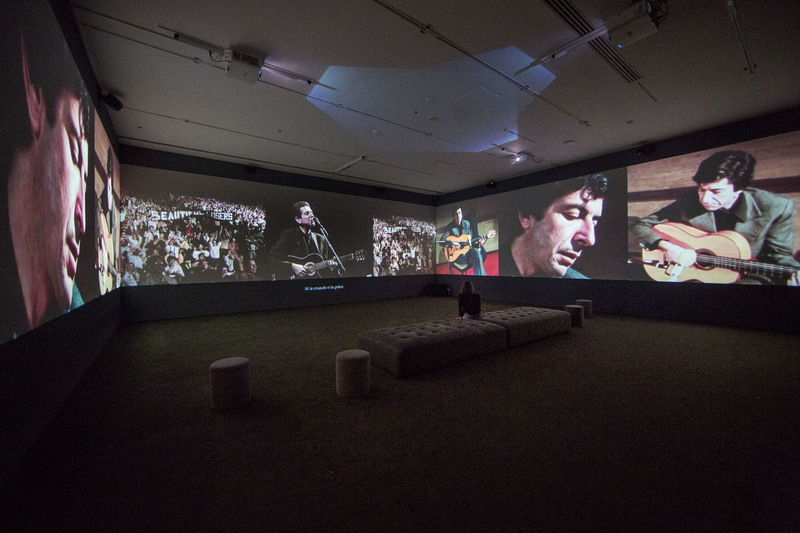 Last fall, “The Velvet Underground Experience” was on view in NoHo, conveniently synchronized with the opening of the Whitney Museum of American Art’s Warhol retrospective. (And sure, there was that little show on some experimental pop star from Brixton.) Now the hits just keep on coming. It does not get any bigger than the Metropolitan Museum of Art—literally, this is the largest museum in the United States (though the Museum of Modern Art is evidently looking to change that when it closes for renovations this summer). 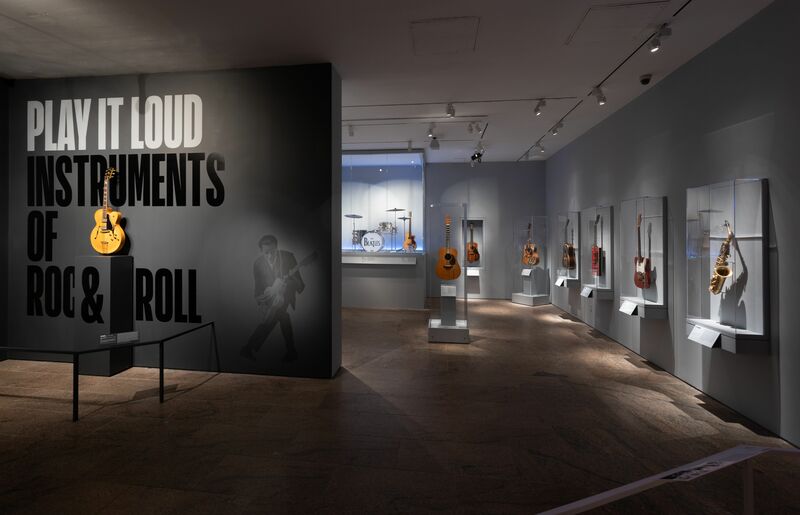 The Met’s “Play It Loud” exhibition opened on Monday, claiming its historic position as the first major art museum to study rock instruments. Cleveland’s Rock & Roll Hall of Fame is the co-organizer and arguably the legs behind the project, having donated a staggering 130 instruments alongside other iconic memorabilia. Until the show closes in October, you’ll have the opportunity to marvel at Chuck Berry’s famous Gibson electric guitar and ponder this new induction in fine art’s Hall of Fame. This is easily the best activity for hosting out-of-town visitors over the summer! 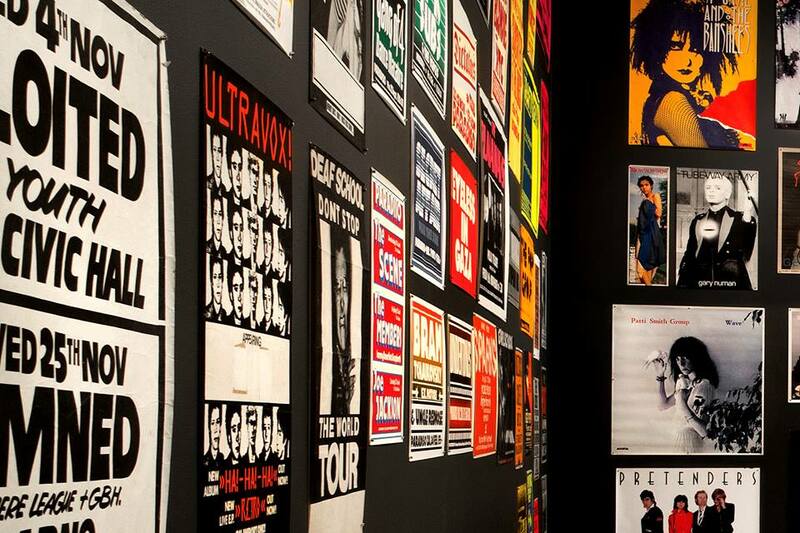 It’s difficult to imagine a musical genre that consciously compelled itself to repel the high-status clutches of institutions such as museums more than punk rock. The initial imperative of punk was not to be skillful—in fact, knowing how to play an instrument was optional if not discouraged—but rather to be (violently) spirited. Bands like the Clash were known as troublemakers whose shows best resembled riots. “Too Fast to Live, Too Young to Die,” which opened April 9 at the Museum of Arts and Design with sponsorship from exactly the shoe brand you’d expect, valorizes a group of people who would have wanted to vandalize those piercingly white museum walls. Leonard Cohen was, and remains, a melancholic international treasure. The Canadian rock star has been immortalized in a staggering mural in his hometown of Montreal (admittedly a little far, but not a bad contender for a weekend getaway!) that is best appreciated from the city’s highest point. A self-proclaimed Jewish Buddhist, the multitalented singer-songwriter is getting his latest moment of well due appreciation at the Jewish Museum’s “Leonard Cohen: A Crack in Everything,” opening April 15. This exhibition is not a retrospective but rather a celebration of Cohen’s legacy from artists who succeeded him. Contemporary musicians contributing covers of Cohen’s enigmatic, meditative music include Feist, the National, and Sufjan Stevens—who all offer the kind of tender voices and emotionally specific lyrics that are both reminiscent of Cohen himself and no doubt charming to hear within the museum’s impressive walls. Ready to see all these shows and more? We have a plan!